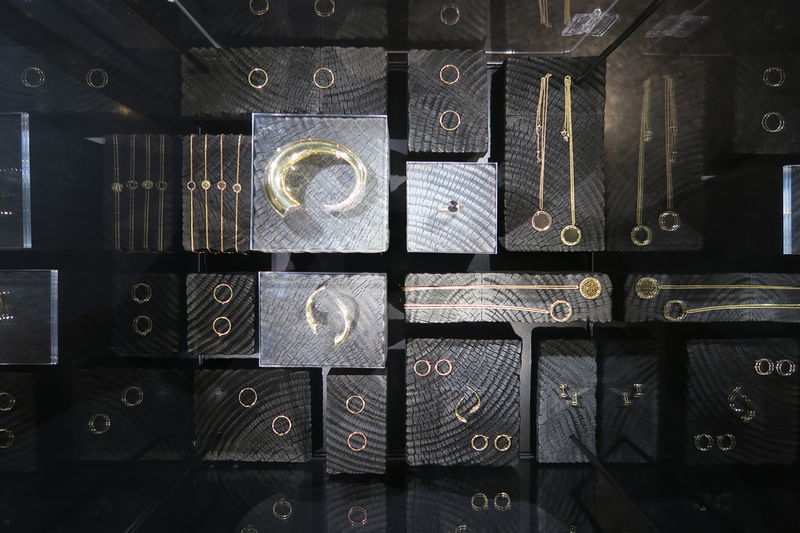 a display series produced for jewellery designer bear brooksbank. 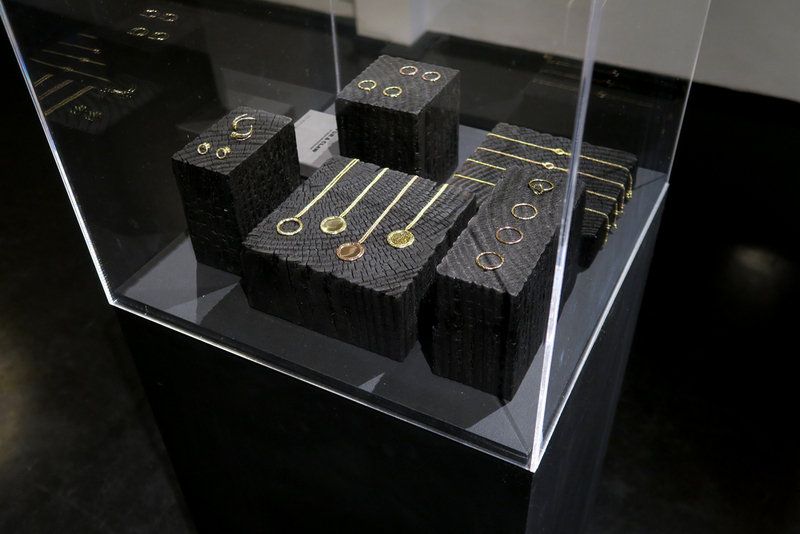 The display blocks were made using an ancient japanese technique of scorching timber called “shou sugi ban”. 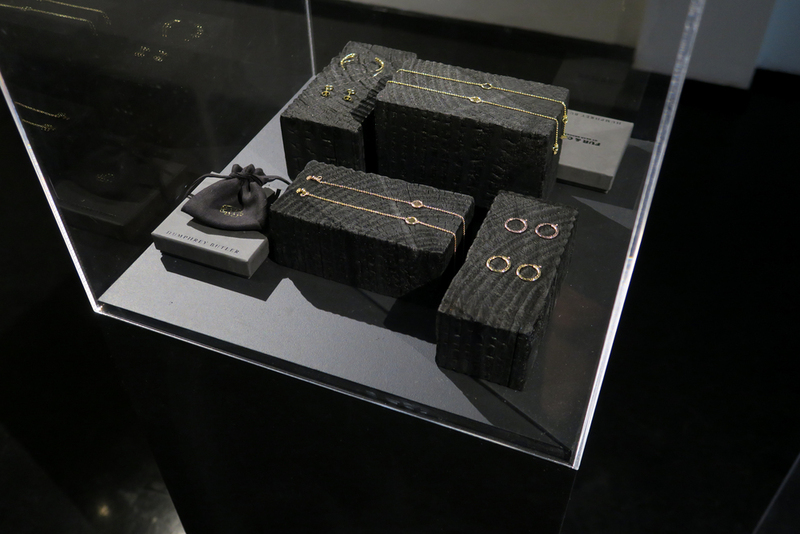 the distressed organic texture was used to reference and compliment the patterning in the jewellery collection whilst the matt charcoal black finish worked to accentuate the gold pieces. 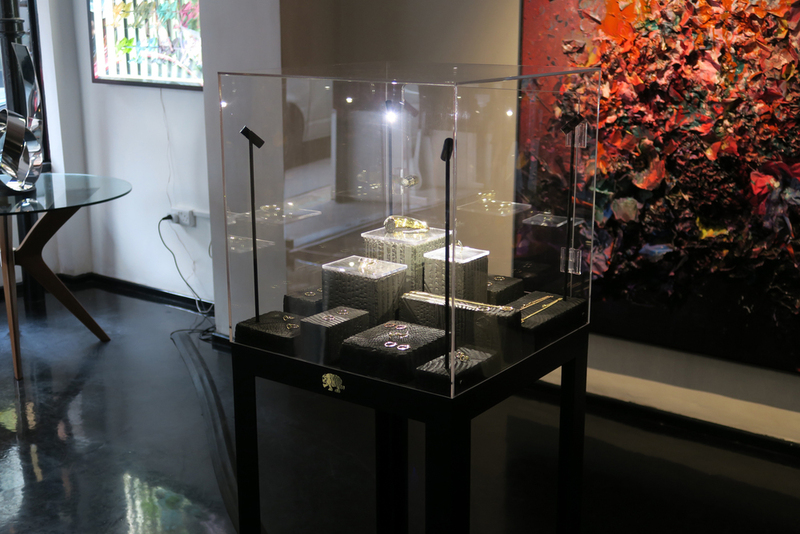 The large display features a lockable perspex case, bespoke black steel leg frame, led lighting, a fixed grid of display blocks, and gold bear logo. 3 smaller displays feature lift off perspex cases and rearrangeable display blocks.